Western Digital has released version 10.2 of its WD Arkeia network backup software, designed to provide a hybrid cloud backup solution for small to medium sized businesses. 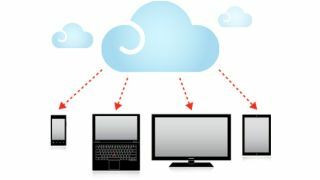 The software comes with Progressive Deduplication, which replicates backups to and from the cloud without requiring fast WAN connections. Small data backups can be made over the internet, while larger ones can be made by shipping encrypted hard drives to a remote location, where they are uploaded to an Arkeia backup server. The new version also includes continuous block optimisation and incremental orphaned block recovery. The deduplication process requires no maintenance window, while block reclamation can be done in the background without the help of an admin. "Backup solutions for businesses are going through a dramatic shift in technology. Advances in data deduplication, hard drive capacity, and wide-area network speeds allow companies to dispense with the error-prone process of trucking nightly backup tapes offsite," said Bill Evans, GM of the business storage solutions group at WD. The importance of backing up cannot be overestimated. According to the London Chamber of Commerce and Industry, 90 per cent of companies that experience a major loss of data end up going out of business in just two years. Arkeia 10.2 is available immediately. New licenses start at $2,000 (£1,224, AU$2,235) for backup software and $4,490 (£2,748, AU$5,020) for backup appliances.